There’s a lot of information out there for sales and marketing professionals. In fact, as my friend Erik Devaney at Drift points out, a quick search of the term “sales and marketing advice” yields more than 90 million results on Google. By focusing on the sales and marketing efforts that actually produce results, not flash-in-the-pan engagement. But finding those results is a little challenging. 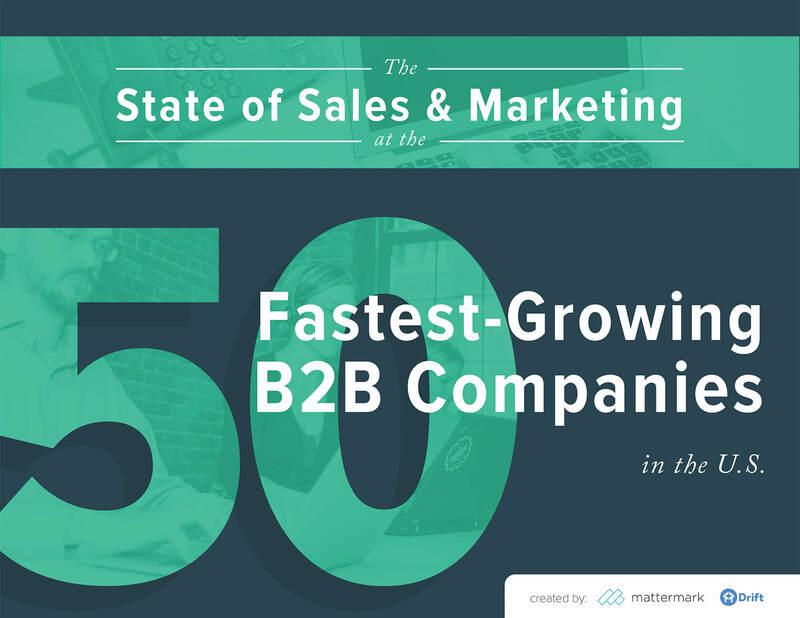 That’s why we decided to put together our latest report with Drift, The State of Sales and Marketing at the 50 Fastest-Growing B2B Companies. What we discovered was surprising, to say the least. There’s a popular belief in both sales and marketing that ‘more’ is always, well, more. Sales always wants more prospects and more leads. Marketers want more traffic and more sign-ups. You get the idea. But when it comes to B2B marketing, the companies in the list of the fifty fastest-growing aren’t focused on executing tons of plays–instead, they’re focused on a select few and mastering them in the process. The report findings also have some interesting implications in not-so-obvious ways. For example, we found that 80% of the fastest-growing companies have a blog or another kind of online publication. Based on this, it’s fair to say that most of today’s successful companies double-down on content as a top-of-the funnel acquisition tool and perhaps use it less for lead nurturing or up-sell opportunities, if at all. Keep leveraging content to drive top of the funnel acquisition. Based off the findings in the report, content is obviously attracting new prospects and driving growth for the companies on the list. Marketers should continue to leverage content in this way to stay top-of-mind. Don’t forget about the growth you’ve already got in the funnel. While top of the funnel acquisition clearly benefits from a thriving content marketing effort, some sales and marketing professionals may be ignoring potential for growth already hidden in the funnel. What’s that mean, exactly? Pretty simple: Stay on top of lead nurturing. Once people consume your content or become customers, what else can you do to drive deals and up-sell? If you want to stay ahead of the curve in B2B marketing, you can’t just follow the trends, you must anticipate them.